The process of developing this product was expensive and required extensive research. She also realized that to take her product to market she would need an industry partner and sufficient funding. 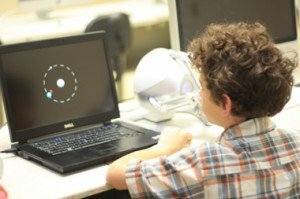 Dr. Darrah found a willing industry partner in Information Research Corporation (IRC), headquartered in Bridgeport. 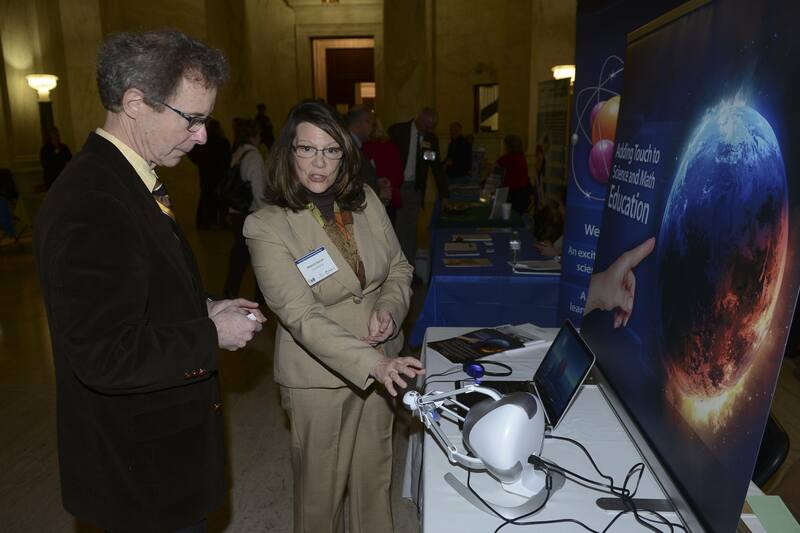 With IRC’s assistance and partnership, she secured funding from the highly competitive Small Business Innovation Research (SBIR) award program through the U.S. Department of Education. 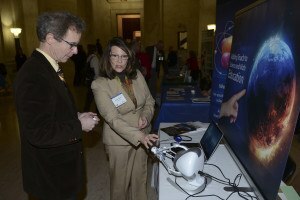 eTouchSciences CEO Marjorie Darrah explains the company to Senator Brooks McCabe.